Located in an attractive courtyard setting, just 4 miles from the M4, this centre offers fully furnished offices in a range of sizes to suit all kinds of business. This is a comfortable and friendly workplace that will allow your business to grow. A wide variety of workspace solutions close to Swindon town centre. Flexible units available for workshop, light industrial or office or storage purposes. Excellent transport links, with easy access to the M4 motorway and to Swindon mainline railway station. A variety of office and workshop accommodation available in Swindon town centre. A range of sizes on offer serviced and unfurnished. Swindon bus and train stations are both only a short distance away, while London is easily reachable by road, as is the sprawling Heathrow Airport. On-site there are conference facilities, as well as meeting rooms, IT support, parking spaces, and the bonus of 24-hour access. A prestigious business centre, within a grade II listed Victorian building. Situated close to Swindon town centre, within walking distance of the train station and retail facilities. Fully equipped with state of the art broadband and telephony systems, the centre provides complete reception and business support services, as well as meeting/ conference room facilities. Virtual office options also available. Situated close to the centre of Swindon, this serviced office is easily accessible and close to a variety of local amenities. This centre has recently been refurbished to provide quality offices, as well as an onsite café and gym. This coworking space - set in the heart Swindon's Old Town - was created with the desire to bring those who didn't have a space to work in together and foster a community amongst young entrepreneurs. The space provides everything a new, young business would need, with fast internet, meeting and printing facilities, regular networking and creative events and, of course, unlimited tea and coffee. It is close to many bus routes too. This beautiful business park setting is just a short drive from Swindon town centre. The business centre in question provides a range of office suites from one- to five-person rooms along with a number of business support services. Swindon Railway Station provides services to London, taking around one hour and perfect for meetings in the city. The town centre has a range of amenities, including well-known shopping outlets. Many diverse companies are drawn to Swindon due to its strong transport links to London and the Thames Valley and the strong local economy. The business centre is a 10-minute walk to the station and you can be in London within an hour. Available are a mix of coworking spaces, meeting rooms a business lounge and a variety of offices. A two-minute walk from Swindon railway station, which has direct services into London Paddinton, this modern, elegant detached building offers recently refurbished serviced office space to suit two, three, four of five+ people. Several meeting rooms including an 18-person space are also available for use. The space offers administrative support, office cleaning, conference facilities, IT support and meeting rooms. Two floors of modern office spaces located on a business park close to the M4 at Swindon. A flexible range of options available furnished or otherwise. High quality office accommodation situated on a prestigious business park. Fully equipped with high-speed broadband and VoIP technologies. Located close to Swindon town centre- offering a mainline railway station and a range of other facilities, with quick and easy access to the M4 motorway. 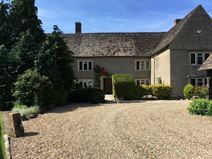 This property is conveniently located on Lydiard Fields business park, close to a café, restaurant, hotel and news agent. These offices provide high quality office space with high speed broadband, impressive meeting rooms and onsite parking. Located in the peaceful countryside on the outskirts of Royal Wootton Bassett, this centre benefits from stunning scenery as well as fantastic on-site amenities. Tenants can access the space 24-hours and take advantage of the free WiFi, reception services, kitchen facilities and ample free parking. There is a dedicated meeting room on-site and cleaning services are included in the rental price. Swindon town centre is just a ten-minute drive, offering a variety of amenities, shops and a railway station. Refurbished 1930's building offering serviced offices and light industrial units. Facilities include meeting rooms, reception, ample parking, mail handling, security, CCTV and 24 Hr Access. Located close to the A419 and the M4 motorway. Swindon town centre and Swindon Train Station is just over 4 miles away. Served by local bus routes which pass every 15 minutes to and from the town centre. A large, recently built centre close to Swindon and the M4 motorway provides a range of office and workshop accommodation. Arranged in a courtyard complex, the units are fully equipped with high spec broadband and telephony systems. The centre is complete with fully manned reception, rest/ lounge areas and meeting room facilities. Swindon town centre offers a full range of local amenities, while the proximity of the M4 ensures easy access to the surrounding area. Stylish, modern office solutions in a stunning business centre close to the M4 motorway at Swindon. Fully serviced and complete with meeting room facilities, full reception and support staff, kitchen areas and ample on-site parking. The M4 allows for easy access to Reading, Bristol and London, while Swindon railway station is only a short distance way. Close to the Great Western Retail Village this centre provides furnished and unfurnished office space up to 1,500 sq.ft., in size. There is ample free on-site parking while the town centre is close by, offering a range of useful local amenities. Swindon Railway Station is within easy reach and has direct links to London Paddington and Cardiff Central. There is also an extensive bus network in the area. High quality office accommodation close to the M4 at Swindon. A range of space available, all fully furnished an equipped with high speed internet and telephony. Ample parking available and local amenities close by, while Swindon town centre and rail station are easily accessible.